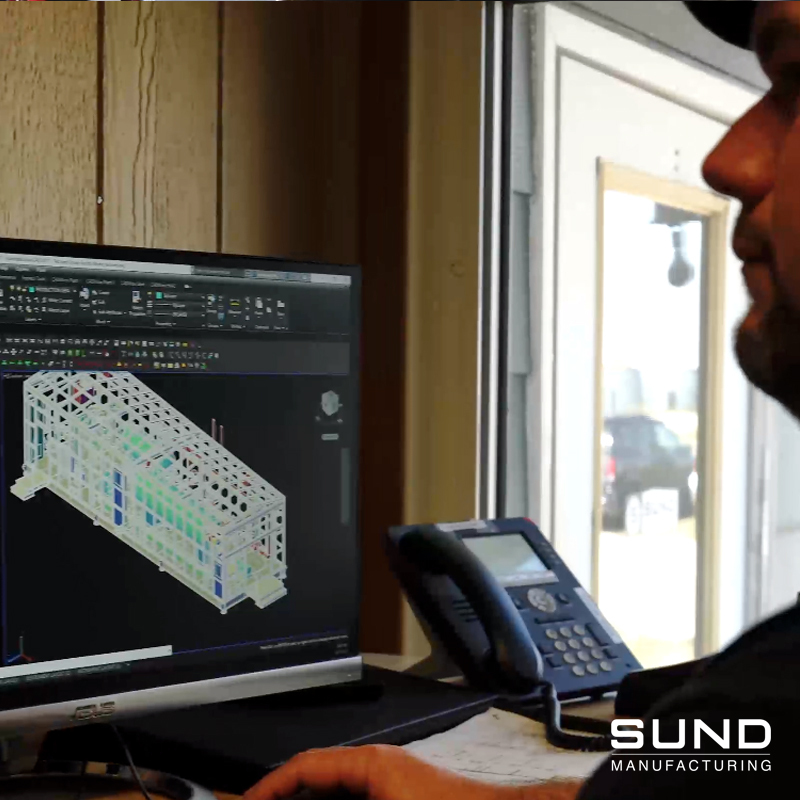 Capabilities | Sund Manufacturing Inc.
At Sund Manufacturing we understand not all of our customers are the same. When project specifications or design conditions won’t allow you to use an “off-the-shelf” product, our Engineering and Design team will develop a custom, cost-effective solution that meets or exceeds your requirements. We have many years of experience in the design and fabrication of upstream and midstream equipment modules for North Dakota Bakken oil and gas facilities. Contact us today to discuss your specific application! Whether it is a steel or wood structure, we offer a large variety of buildings and enclosures insulated and ready to withstand the harsh climates where our equipment is in service. As a ND-based fabricator, we know what it takes to build a structure that can withstand the large temperature swings and bitter cold that our equipment needs to operate in. 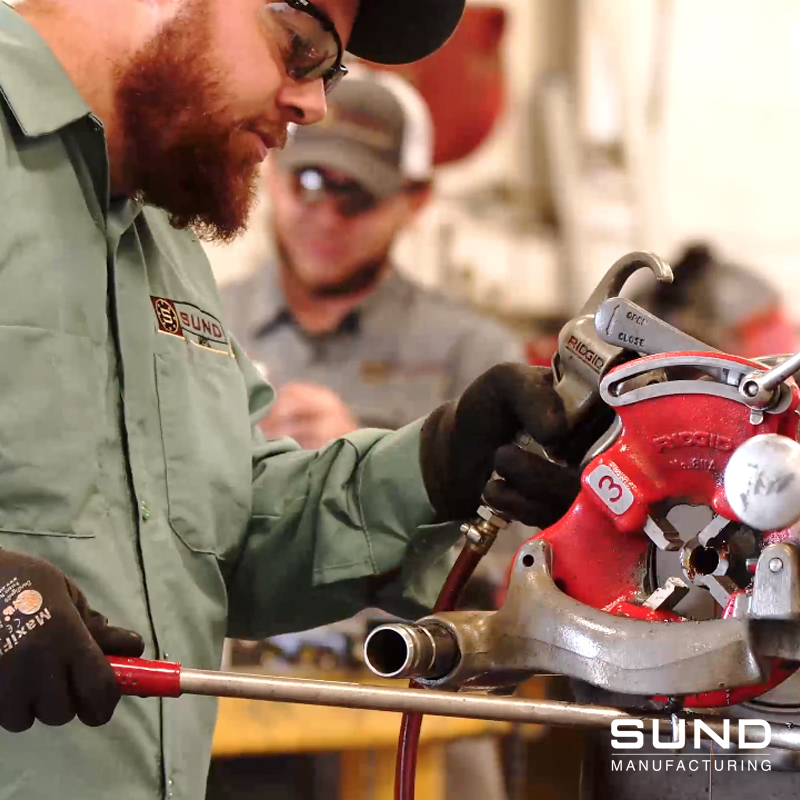 We have a highly trained team of professionals ready to assemble our products according to engineered packages, whether those packages are developed by you or by our Engineering Team at Sund Mfg. 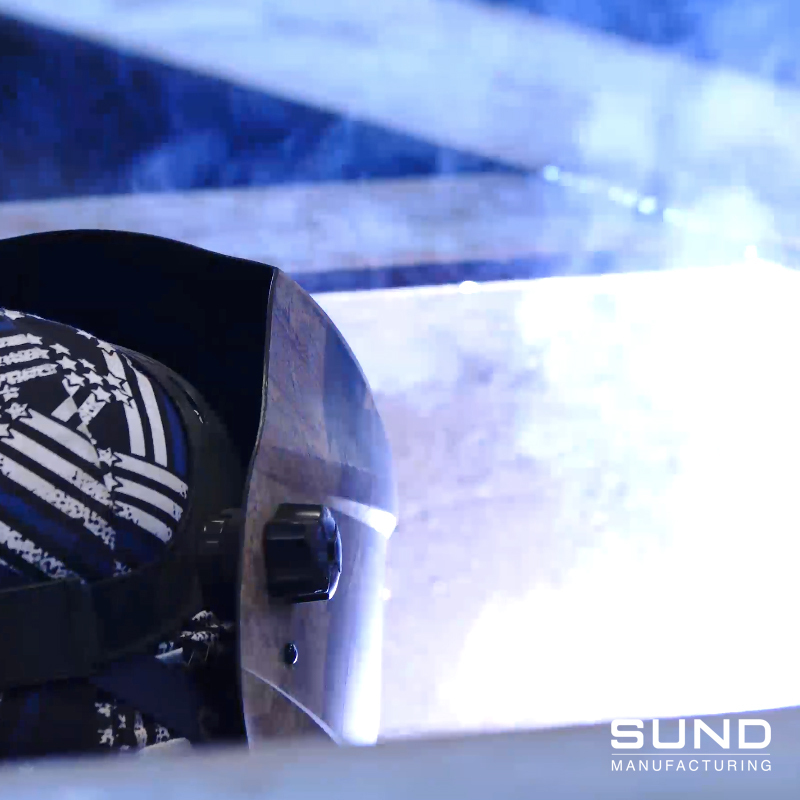 Our team of pipe welders are certified in accordance with ASME Section IX, B31.3, and API 1104. 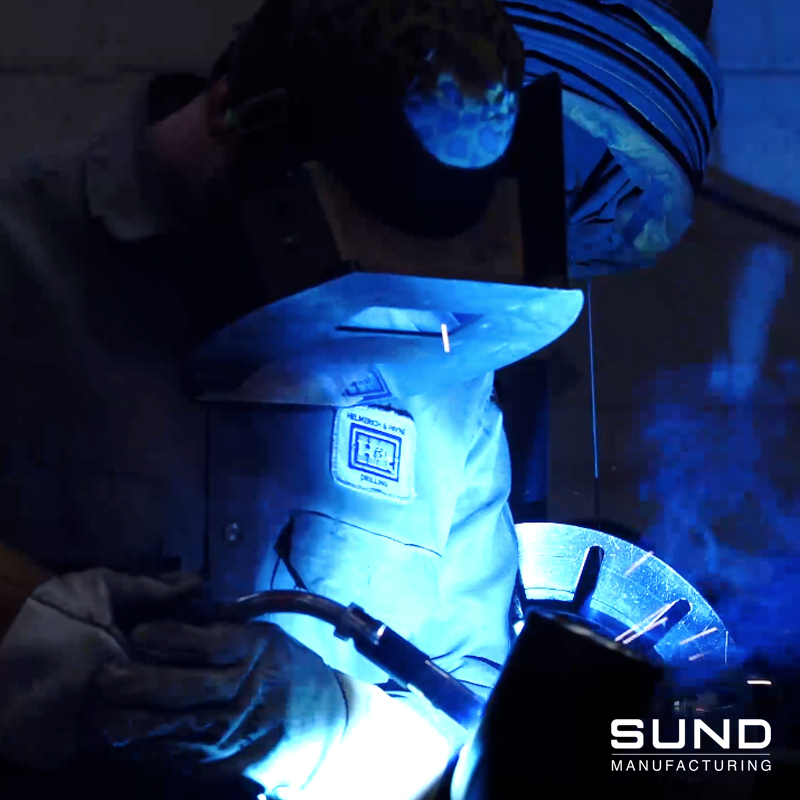 We utilize a variety of equipment ensuring our weldments are of the highest quality possible. 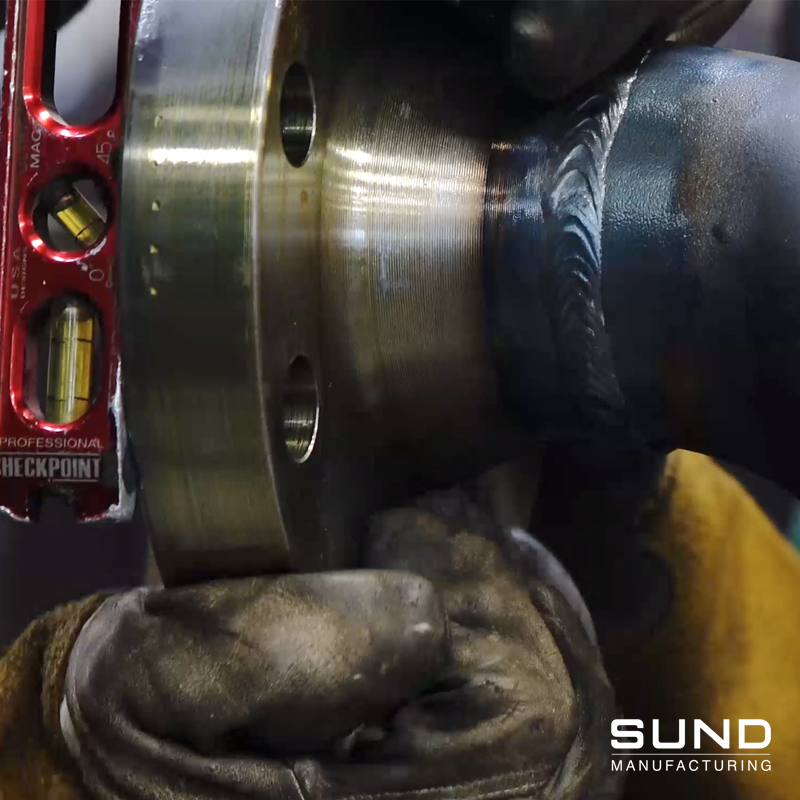 We use multiple processes including GMAW, SMAW, and GTAW. We also offer NDE as well as hydrostatic testing on site. 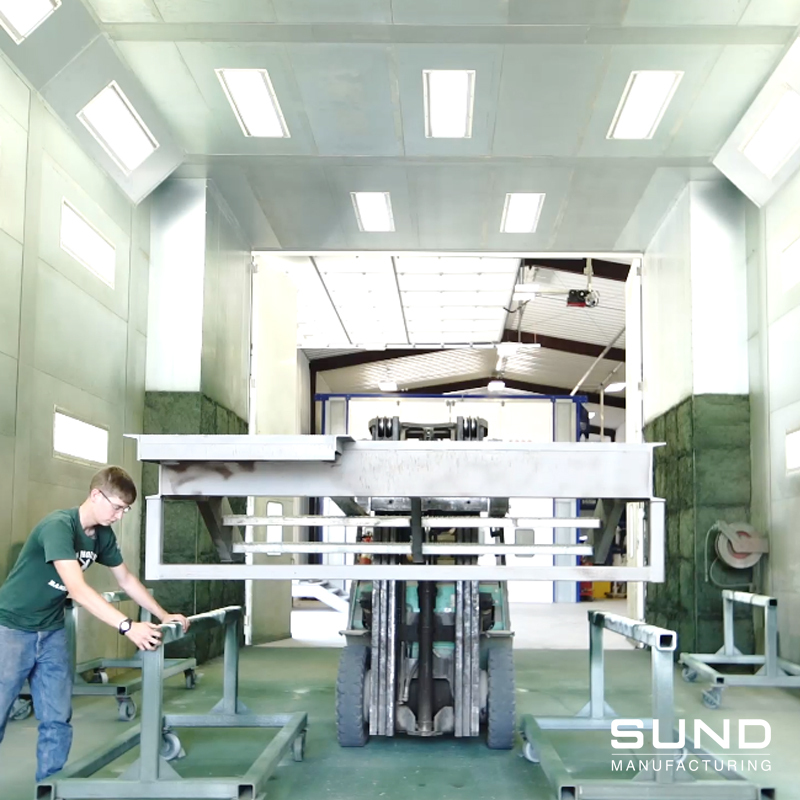 Sund Mfg is leading the industry in complex coating applications. With our 7,700 sq ft Paint and Blast facility we can handle your complex coating project – with ease. The blast and paint booths measure 36x22x18 allowing for proficient handling of large projects in a climate-controlled environment. We have highly trained operators and a comprehensive Q&A program ensuring that your requirements and expectations will be met. 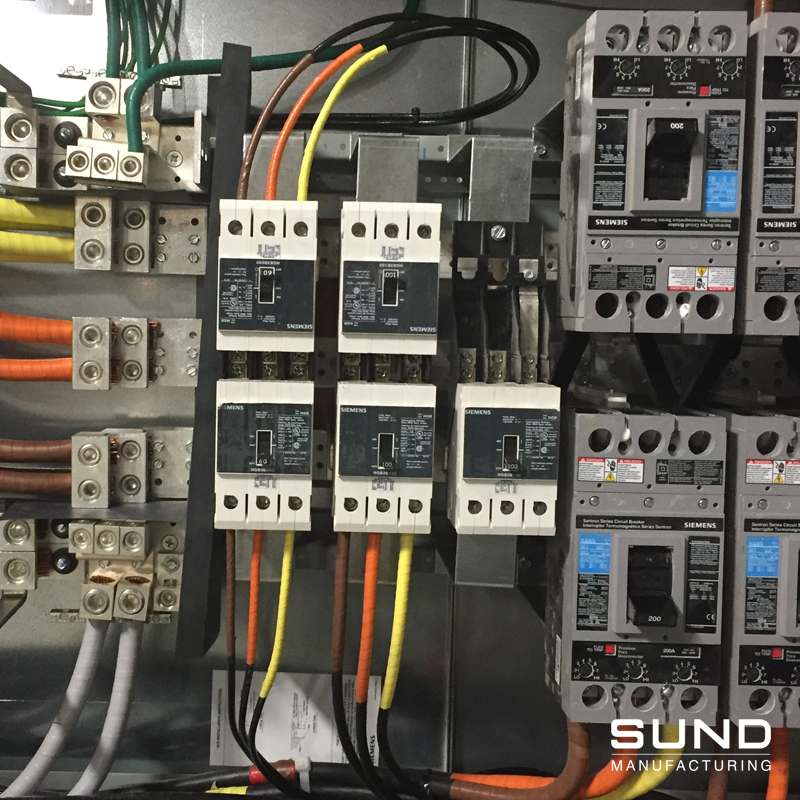 With the capability of wiring products in our facility, it ensures our products are truly plug and play – saving you valuable time and money by cutting down on field installation costs.